If you have some extra scrappin' $$ or have a paper scrapper in your life that might want to "dip their toe" into the digi scrapbooking world, here's a great kit you can purchase at Songbird Avenue.com. The cost of the kit, minus paypal fees, goes toward this month's guest artist's charity of choice. I hear the site, which began last summer, has surpassed $10,000 in sales...which means a whole lot of charities are being helped! Last month, more than $1,000 was donated to the Make a Wish foundation in Utah. 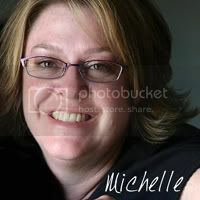 It's a two for one happy deal - donate to a good cause (in this case: Lupus Foundation of America.) and give a scrapper a "random act of kindness" and make them smile. For January's kit, we are so excited about our collaboration with Shabby Miss Jenn! Jenn's luscious style is the perfect way to ring in the new year! 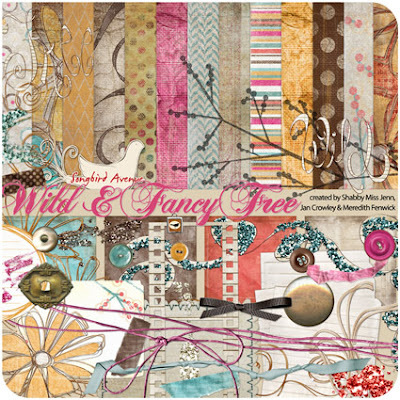 We are proud to present "Wild & Fancy Free". 100% of this month's profits will benefit the Lupus Foundation of America. Want to purchase the kit? Wow! Just awesome! Thanks so much for your support of Songbird Avenue!